These are super cute :) Happy Birthday! haha, oh wait, well I guess I just assumed it was your birthday! So consider that an early birthday haha oh gosh, I am embarrassed! Ah, how cute! Amazing job. You are so talanted, it's beyond belief! 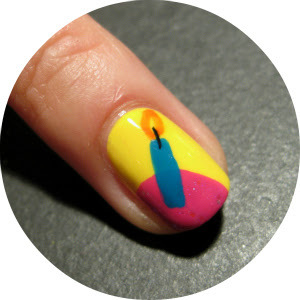 Awesome nails! I really hope I get to see your 31 day challenge manis! Super cute. 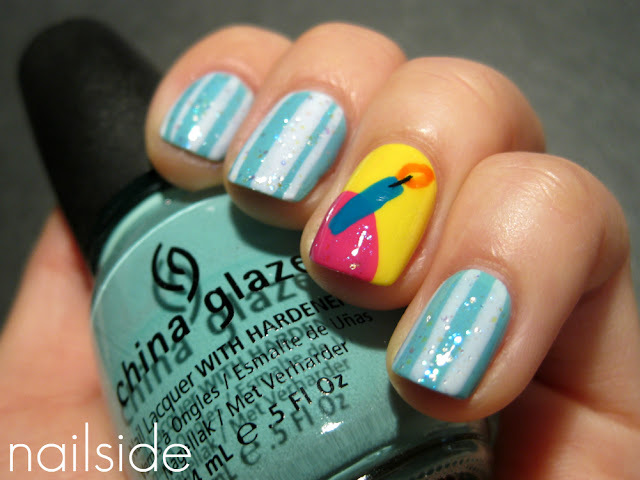 :] Love the glittery stipes! this is adorable!! I love the little candle. Great job, as usual!